CLEVELAND, Ohio (WLS) -- Crews will try again today to free a freighter stuck in the ice on Lake Erie near Cleveland. The ship has been sitting there for days, just five miles from the shore. Officials say crew members aboard have plenty of food and fuel. 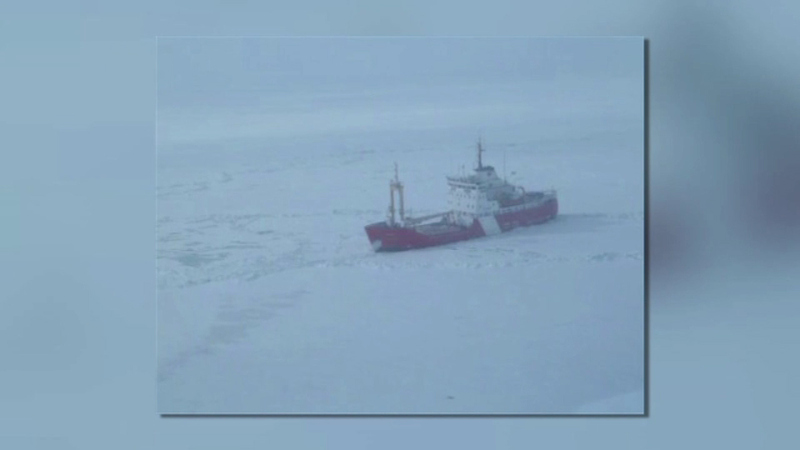 The Bristol Bay, the Coast Guard's ice cutter, is having trouble reaching the ship because the ice is 10 feet thick in some places. On Saturday, a Canadian Coast Guard cutter will join the mission to free the ship.